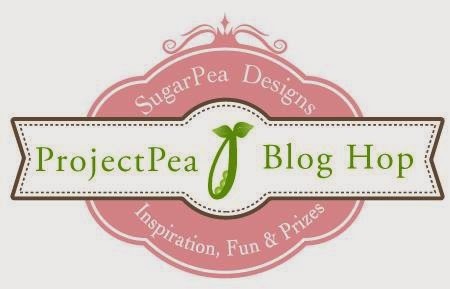 Each month the fabulous team of ProjectPea Designers are challenged to create FUN & CREATIVE projects that are sure to make you look at your stamp sets and dies with brand new eyes! For my project today, I made a fun little Valentine mailbox:) You can find the file for this HERE. I decorated it with some very old Stampin' Up dp that I had in my stash, along with some fab SugarCuts Dies! 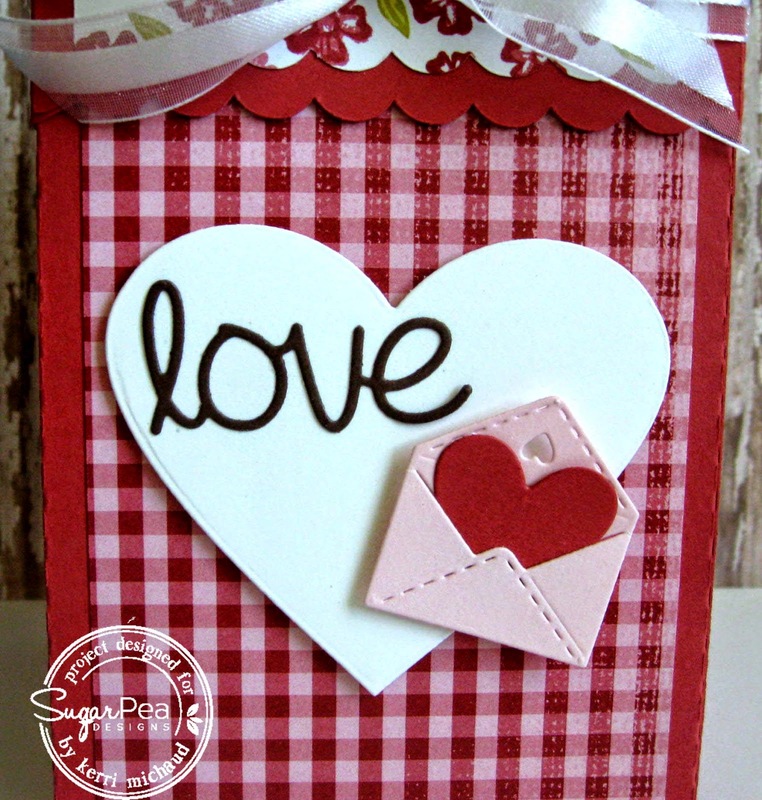 The darling envelope comes from the SugarCuts-Special Delivery Accents die set and then heart inside the envelope and the "love" sentiment were cut with dies from the SugarCuts-Heart Journal Card die set. Soooooooooooooooooooooooooo cute Kerri. Love this. So adorable. How cute is this! Great job showcasing the new goodies! Oh my goodness, this is fabulous! LOVE it! Great idea for a mailbox. Beautifully done. Oh, I love this sweet mailbox! How cute--I like your choice of papers. so cute!!! I made one of these mail boxes a couple weeks ago and loved it! Adorable!! Fun. Love the patterns and the bow. This is such a cute Valentine box - what kid wouldn't love this? well this will cause an uproar in any child's classroom!!! Wow, in my day we just glued some construction paper hearts on a shoebox!!! 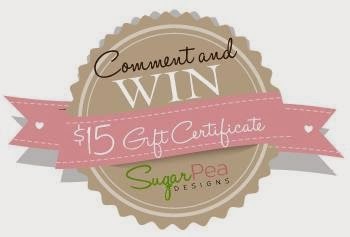 Also could be adapted for wedding gift cards. How funny, Kerri. I immediately recognized that paper -- I think I still have some too! lol Thanks for a great project! I know that paper. Think I may even have some! A really cute project. Love those new fun stamps and dies. So colorful and cute - love the gingham. What a beautiful little treat box! I love all of the great details you added! This is the sweetest Valentine mailbox! I love your love box (mailbox). The papers you used are fabulous! So pretty. Love the box and the papers you used. Thanks for sharing. 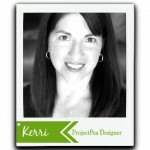 Love this idea, Kerri! It's so perfect for Valentine's Day. how adorable...my little girl would love this for her mailbox on that special day! Great hop! Cute box! My daughter would love this as her valentine holder! This is so pretty! Just perfect for Valentine's Day. And I LOVE that adorable little envelope. Aww.... perfect box for Valentine's Day! What a cute mailbox...love it. Awww what an adorable project!! I love the sweet mailbox with the Valentines/Love theme! SO cute!!! And I still love that SU! dp, old or not :) Thanks so much for sharing! 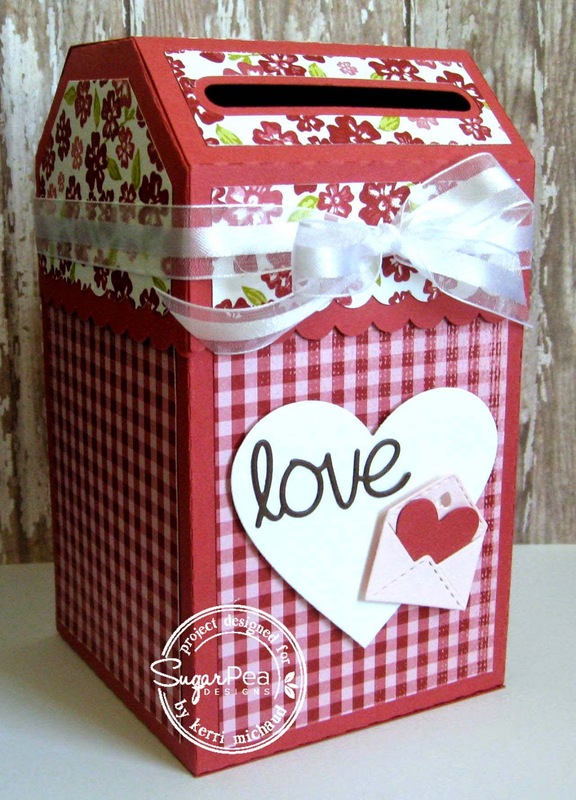 Adorable valentine mail box and love how you decorated this..so cute! Ohhhhhh, this is awesome and incredible!!! And you dolled it up so sweetly and cutely too!!! Amazing!!! OH. MY. GOODNESS. This is so cute, cool, amazing, awesome and just about every other positive adjective I could use!!! Love it so much!! !